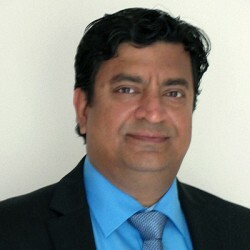 Anirvan is an Industry expert who has worked in several Fortune 500 companies across the globe. His experience is derived from cross-functional roles involving large scale transformation using LEAN six-sigma, Talent Management, Shared Services, IT and Sales. Anirvan was responsible for global delivery model setup for GE BPO vendors, strategy for shared services in the Middle-East and Africa region and prior to that ran the Quality organization for the EMEA operations of Shared Services. He also ran initiatives in China, ASEAN, ANZ, Brazil and the US. I reached out to Trajan consulting during one of our most high profile internal projects, as I needed a skilled consultant to act as a project manager during my leave. My main reason for selecting Trajan consulting was their understanding and dedication to our needs and requirements, as well as their ability to provide us with the right person for the job. They immediately understood our requirements, and were able to quickly match us with a consultant who had the right competencies to oversee the project. I would like to thank Trajan consulting for the service they provided to Dubizzle and their commitment to making the project a success. We are very satisfied and look forward to a long term relationship. I commissioned Trajan Consulting to deliver a significant piece of work for Damco Asia. Trajan delivered on their objectives with a positive result. I would highly recommend Trajan Consulting to other companies. I have found Catherine to be competent, professional and trustworthy. I would continue to deal with her in her current or similar capacity should the need arise. Catherine is very professional, dedicated person, highly educated and skilled at helping an organisation to achieve best results. Catherine is capable of process re-engineering and she brings plenty of passion and energy with her dedication. I have no hesitation in recommending Catherine to Companies that are in need to change and improve and are willing to use Lean and Six Sigma type methods to create that improvement. Thank you once again on behalf of myself and Yasvin for running the workshop so successfully. Your style, delivery and pitch were exactly what I was looking for so couldn’t have asked for more. Following the workshop I am convinced that LEAN implementation at some terminals could be of major use to us, and we will continue to suggest this in our ongoing dialogues with the terminals on a number of matters and hope that we have an opportunity to work with you again in the future. Trajan Consulting provides a true Global Reach in our aim of driving for success. It has offered a differentiated approach to our organizational and cultural challenges and has definitely made a huge positive impact on our strategy/roadmap. The in-depth knowledge and skills of its consultants have also helped in securing buy-in from our people. Over and above a very efficient preparation and execution process, constant follow-up and feedback remain the strong points of this “Out of the Box” consulting firm. I have worked with Trajan consulting over the last 3 years in various projects. I have found Trajan to be effective, deliver on time and the consultants are consummate professionals. I have no hesitation in recommending Trajan Consulting to any organisation. We are pleased to appoint Ammar Shams to Trajan consulting.